My recent ankle injury (watch the ice!) has me recalibrating my New Year's resolutions: spend more time and effort getting healthy. More time on relationships, experiences and making memories, less time accumulating (crap) that winds up in a landfill within a few years. No, winter hasn't been canceled, although one of the things I hear on a routine basis is how Minnesota doesn't experience as many long-duration cold waves: night after night, week after week below zero. The stories your parents told you, growing up. The wild weather-war stories that fill visitors with wide-eyed wonder. A slushy mix is possible Wednesday, maybe an inch or two Friday as a weak storm spins up along the leading edge of arctic air. 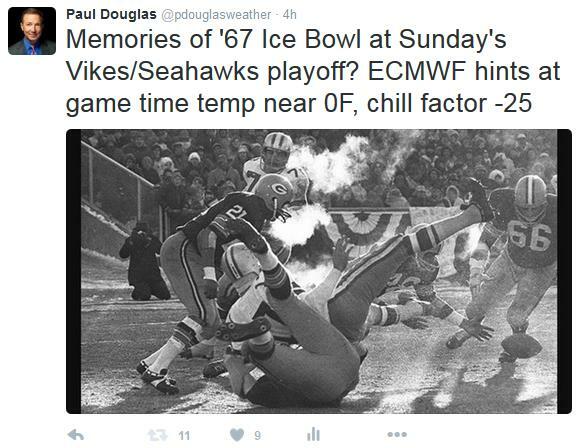 Sunday's Vikings play-off game may be one for the ages: 0F with a wind chill of 25 below? The Seahawks won't know what hit 'em. A reinforcing lobe of subzero air arrives Tuesday, but temperatures moderate late next week; a Pacific breeze thaws us out by the 3rd week of January. Next week will be a numbing reminder that MSP is a distant southern suburb of Winnipeg. Fun With Negative Numbers. I'm leaning more toward the ECMWF solution, which pulls the first surge of subzero air into Minnesota Sunday. The map above shows temperatures around -5 or -6F at 18z Sunday. A second, reinforcing slap arrives Tuesday, with nighttime lows dipping into the -10 to -20F range. Cold enough for me, yes. Map: WeatherBell. A Selma and Louise Temperature Trend (off the cliff). I'm dating my self by that movie reference, I couldn't find a way to work "Star Wars: The Force Awakens" into the weather narrative. You can see exactly when we go over the cliff (Saturday). By Sunday temperatures may not climb above zero with a cruel wind and peeks of sun shining down through the arctic landscape. A shot of (fluffy, powdery) snow Monday precedes a reinforcing shot of subzero air Tuesday into Wednesday, and then temperatures begin to moderate. It may be folly to say this out loud, but I suspect next week will be the coldest of the winter. Serious Wind Chills. Models show the lowest wind chills Sunday and early Monday, bottoming out with the second shot of arctic air Tuesday night and early Wednesday, possibly as low as -30F in the MSP metro area. That'll get your attention. Map: Aeris Enterprise. Cascade of Cold. The rumors are true: the floodgates will open up this weekend as a push of subzero air, a hunk of the much-advertised polar vortex pinwheels southward, setting the stage for mid-January temperatures as much as 20-30F colder than average. 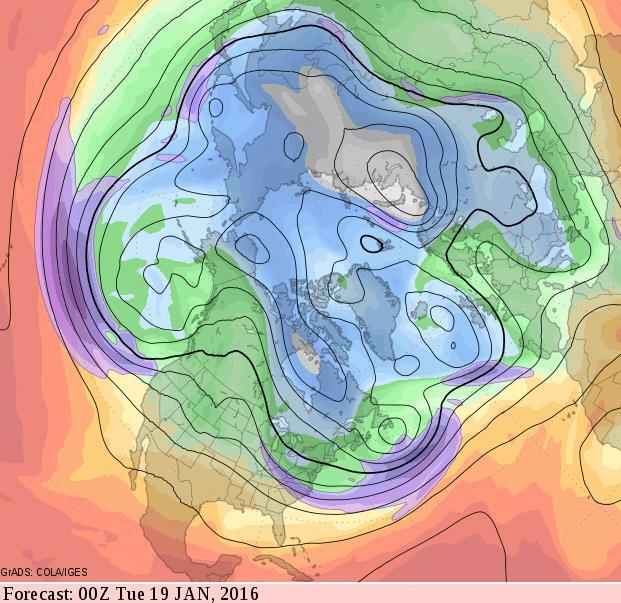 10-day 2-meter GFS temperature forecast: NOAA and AerisWeather. Recovery. It can't stay below zero for long - at least not this winter with the warm signal overwhelming the pattern across much of North America, an El Nino on steroids. GFS guidance shows 500 mb winds blowing more from the west/northwest by January 18 as the coldest lobe of air lifts across Hudson Bay toward Greenland and our flow becomes a bit more Pacific in nature. By then we'll be ready for a warmer front. 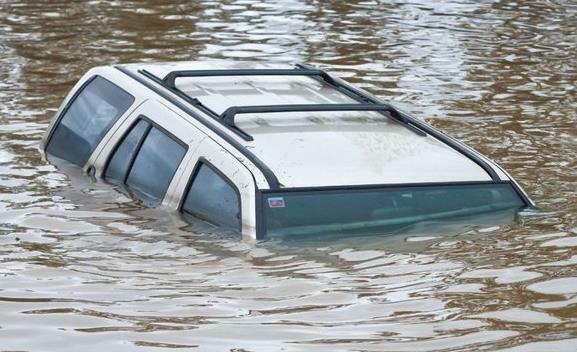 Record El Nino, Climate Change Drive Extreme Weather. Are consistenty warmer Pacific Ocean temperatures helping to drive a record El Nino and many of the weather symptoms popping up across the planet? Here's an excerpt from BDLive: "Deadly extreme weather on at least five continents is driven in large part by a record-breaking El Niño, but climate change is a likely booster too, experts said on Monday. 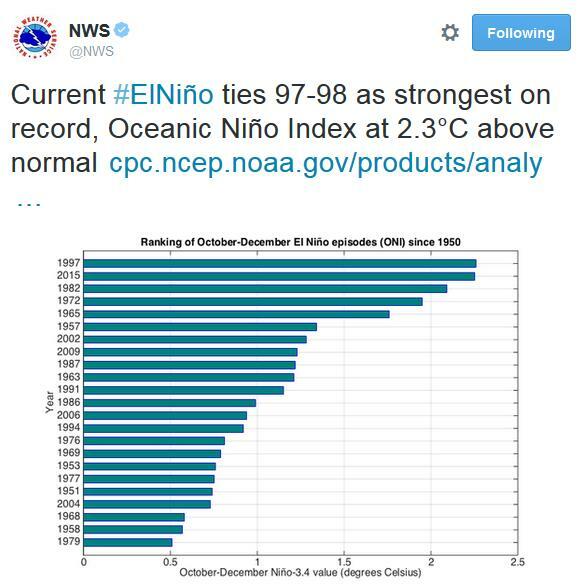 The 2015-16 El Niño, they added, is the strongest ever measured. "It is probably the most powerful in the last 100 years," said Jerome Lecou, a climate expert at the French weather service Meteo France, noting that accurate measurements have only existed since the mid-20th century. Flooding and mudslides unleashed by torrential rains have killed at least 10 people and driven more than 150,000 from their homes in Paraguay, Argentina and Uruguay in recent days. ..." (Graphic credit: NOAA CPC). 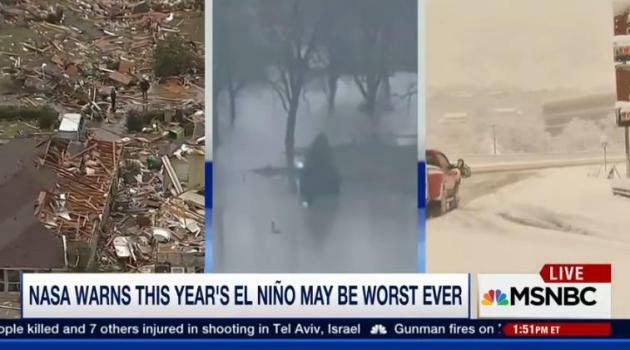 What North America Can Expect From El Nino. Every El Nino has a different "flavor" and slightly different symptoms, no two events are identical, according to a good overview at The Conversation; here's an excerpt: "...During the coming months, climate scientists expect that El Niño will pull the east Pacific Northern Hemisphere jet stream and its associated storm track southward. Normally these storms veer to the north toward the Gulf of Alaska or enter North America near British Columbia and Washington, where they often link up with cold Arctic and Canadian air masses and bring them down into the United States. Instead, with the jet stream following an altered path, the northern states are likely to experience relatively mild and drier-than-normal weather. 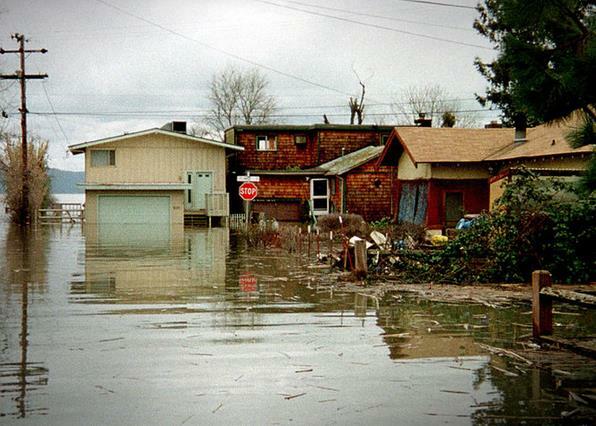 Storms tracking across the continent further to the south will likely create wet conditions in California and across the South as far east as Florida..."
Photo credit above: "Flooding in Clear Lake, California, March 1 1998, during the 1997-1998 ‘super’ El Niño event." Dave Gatley/FEMA. 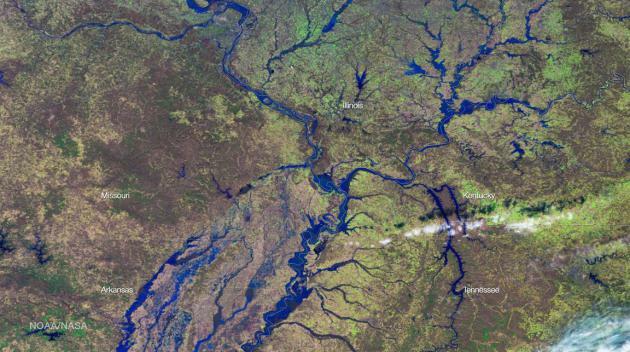 Satellite Imagery of Mississippi River Floods. The imagery was taken on January 3, 2016. Here's a clip with more information from NOAA's Environmental Visualization Laboratory: "The Mississippi River Valley has been experiencing record floods for the past week after a series of storms brought heavy rains to the region in late December. This false-color Suomi NPP VIIRS image shows areas of flooding as observed on January 3, 2016. The VIIRS high resolution imagery channels are being used to provide highly detailed flood maps to area responders, using a newly-developed algorithm to detect standing water. That imagery can be seen by the Space Science Engineering Center, which partners with NOAA to develop many advanced satellite products, in a new mapping tool called RealEarth." 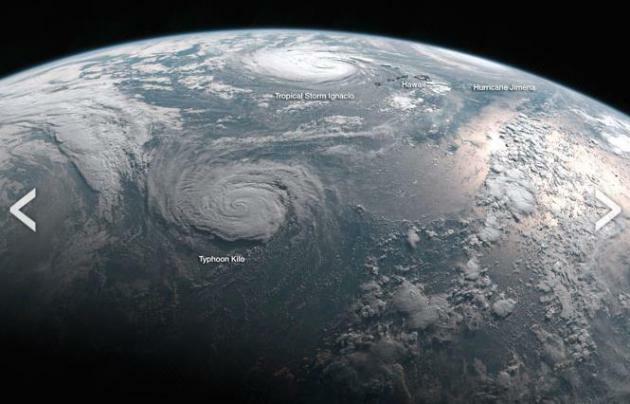 Image credit above: "Typhoon Kilo, Tropical Storm Ignacio, and Hurricane Jimena in the Pacific Ocean are captured by Japan's Himawari satellite on Sept. 2." JMA/NOAA. Weather Stories That Will Endure Throughout 2016 And Beyond. Living On The Real World and the AMS (American Meteorological Society) has a post that helps to put weather, climate, risk and uncertainty into perspective; here's an excerpt: "...Here’s a 21st-century irony. We’re increasingly vulnerable to weather even as our personal exposure to heat and cold, sun and rain is in decline. Most of us are in the virtual workplace of information technology which itself is embedded in the virtual climate of the heated/air-conditioned office. Even so, we’ve been forced to acknowledge our increasing sensitivity and changing vulnerability to weather, and especially extremes and even lesser departures from so-called “normals.” The big challenge here is the emerging mismatch between (1) the time-horizon of our strategies and investments for producing food, maintaining water and energy supplies, transporting people and goods, and a weather-sensitive economy; and (2) the time-horizon on which we can anticipate the threats weather and climate, and their associated effects on water, pose to those plans and ventures. We’re in essence flying blind. 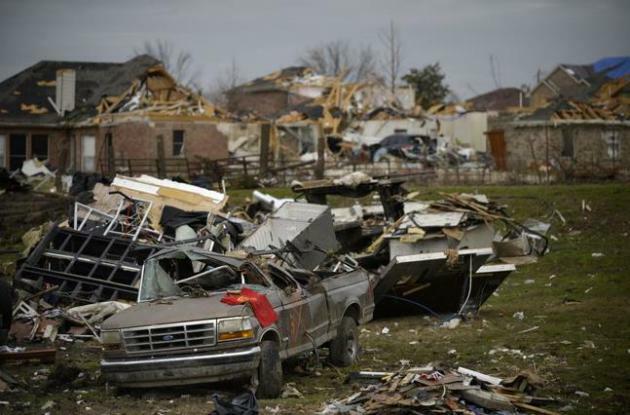 We’re placing bets at the poker table without looking at our own hand or those of the other players..."
Tornadoes, Severe Storms Cost $10 Billion in U.S. in 2015. Another data point; here's an excerpt from USA TODAY: "For a record eighth straight year, tornadoes and other severe thunderstorms likely caused at least $10 billion in property damage in the United States, according to an analysis by Munich Re, the world's largest reinsurance firm, which is based in Germany. The deadly tornadoes in December damaged or destroyed thousands of homes and businesses across the South, which should push the total over the $10 billion mark for 2015. “No year prior to the 2008-2015 period had insured thunderstorm losses been in excess of $10 billion,” said Mark Bove, a Munich Re research meteorologist..."
2015 Was One of the Craziest Years Yet for Weather - Here's Why That's So Dangerous. 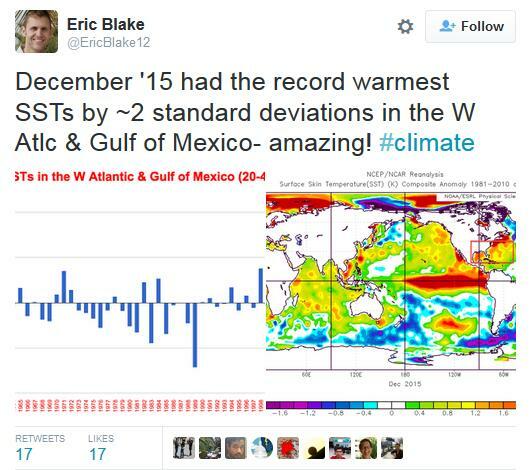 Business Insider reports; here's an excerpt: "...But we can’t pin it all on El Niño. Yes, a lot of it can be chalked up to this year’s El Niño, which has been one of the strongest on record. (El Niño is a regularly occurring event characterised by warmer-than-normal temperatures in the Pacific Ocean that make it easy for water to gather in the air into powerful storm systems). Still, many of this year’s events have likely been made worse by human-made climate change. As decades of research suggest, a gradually warming climate is also amping up the likelihood and frequency of extreme events, from flooding to heat waves. Here’s a rundown of the year’s most freakish weather events, and why they aren’t set to improve anytime soon..."
Alpine Ski Resorts Hope Petting Zoos Will Make Up for Lack of Snow. Call me crazy but I don't see the connection. Let's see, downhill skiing or petting zoo? Hmm. 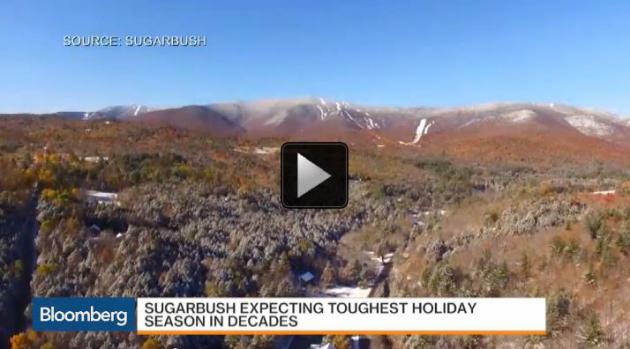 The worst start to winter for New England ski resorts in 50 years? Here's an excerpt from Bloomberg Business: "The town of Chamonix, France, opened a petting zoo to entertain children deprived of skiing. In Laax, Switzerland, operators raised lift prices, to keep out skiers from lower altitudes. Helicopters are carrying snow to Meribel, and in Saint-Martin-de-Belleville, the mayor asked locals to eschew the slopes. It’s all a response to what’s shaping up to be the worst December in memory for snowless European ski resorts, the vacation destinations for movie stars and schoolchildren alike..."
Balmy Winter Hits French Ski Workers in the Wallet. AFP in France has an update on the implications of record warmth across much of Europe, to date: "The spring-like temperatures that have disappointed many skiers hoping to find a blanket of fresh powder in the French Alps is having a far more painful impact on resort workers: unemployment. Seasonal workers set to run ski lifts and clean hotel rooms across France's assortment of world-famous slopes have seen jobs delayed or cancelled as employers wait to see if snow will fall. "There are a lot of people in my position," said Julien, a ski patrolman, who had just learned his job offer in Aussois in the French Alps had been deferred by 12 weeks..."
NASA Warns El Nino May Cause "Weather Chaos". The best way I've heard it described is like going up a flight of steps (climate change and warming, worldwide) and then standing on your tip-toes (El Nino). A much warmer Pacific ocean may be turbocharging the El Nino we're experiencing right now, forecast to linger into at least spring of 2016. MSNBC has the video and story; here's an excerpt: "Despite the devastating storms across the country the last few weeks, NASA is forecasting the worst is yet to come. Michael Mann, author of "Dire Predictions: Understanding Climate Change" joins to discuss." 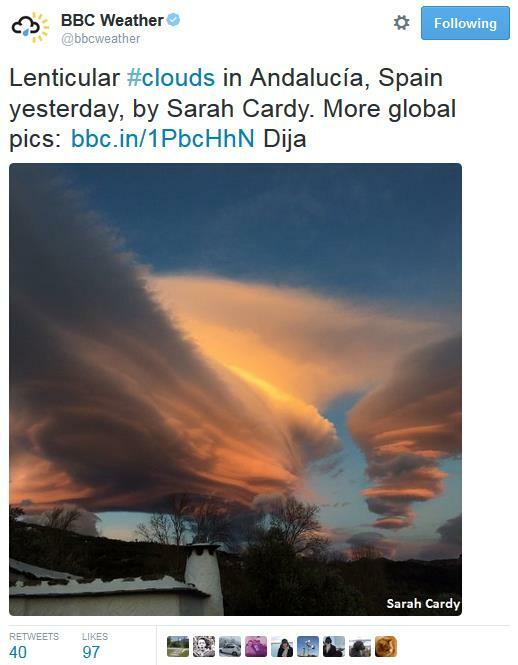 The Most Fascinating Meteorological Images of 2015. The Weather Channel has a story that highlights some of the most eye-popping visuals from last year; here's an excerpt: "...As 2015 ends, global land-plus-ocean temperatures are on track to far exceed those of any other year in records that date back to the 1880s. A significant contributor was ocean temperatures, and while the increasingly strong El Niño in turn contributed to that, there was plenty of other anomalously warm water, as this sequence of SST (sea surface temperature) departures from average on the first of each month illustrates..."
Where Did All The Hurricanes Go? It's been 10 years and 27 major hurricanes since one touched down in the USA. Here's an excerpt of a post from Electric Coop Today: "And though that’s a record landfall drought, scientists say it’s mostly a matter of circumstance and no reason for hurricane-prone areas to let down their guard. “This luck cannot continue. 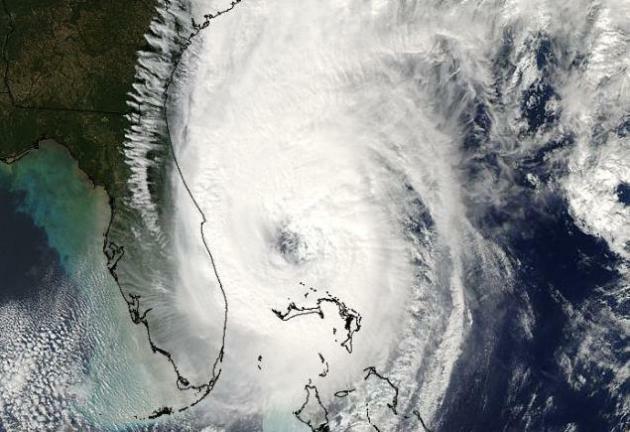 Climatology will eventually reassert itself with many more U.S. landfalling hurricanes” according to Colorado State University experts Philip J. Klotzbach and William M. Gray..."
Image credit above: "Hurricane Wilma, the last major hurricane to hit the U.S., departs Florida to the east in October 2005." (Photo By: NASA). We Need a New Green Revolution. Managing increasingly fickle water supplies, intense rainfalls, new invasive pests, higher dew points will require new techniques and technologies. 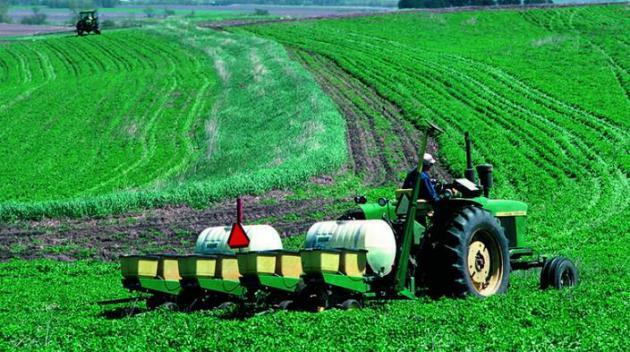 Here's a clip of an Op-Ed at The New York Times: "...History has shown that science can solve the nation’s agriculture and food production problems, but to do so, the American system of food and agricultural research must be substantially reinvigorated. Research can tackle how to grow more food with fewer resources under increasingly difficult growing conditions. But this can be accomplished only if more of the brightest minds are engaged with enough funding to pursue transformative ideas. While private sector research and development in agriculture have grown over the past decade and now exceed what is federally funded, this financing is focused on shorter term benefits..." (File credit: Tim McCabe, USDA). 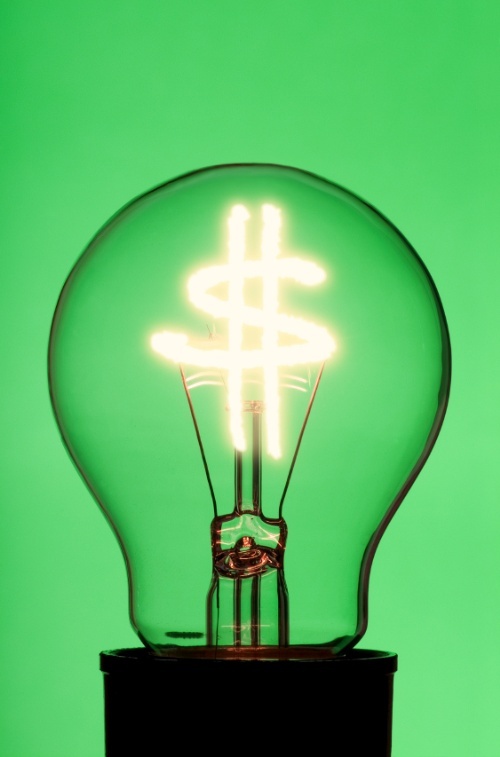 Wind, Solar Power Soaring In Spite of Bargain Prices for Fossil Fuels. Here's a snippet from The Washington Post: "Wind and solar power appear set for a record-breaking year in 2016 as a clean-energy construction boom gains momentum in spite of a global glut of cheap fossil fuels. Installations of wind turbines and solar panels soared in 2015 as utility companies went on a worldwide building binge, taking advantage of falling prices for clean technology as well as an improving regulatory and investment climate. Both industries have seen stock prices jump since Congress approved an extension of tax credits for renewables as part of last month’s $1.14 trillion budget deal..." (Image: Earthtimes.org). How to Cultivate the Art of Serendipity. The New York Times has a fascinating piece - it's amazing how many things we take for granted today were discovered (by accident). How do we increase the chance of random, pleasant surprises? Here's an excerpt: "...A surprising number of the conveniences of modern life were invented when someone stumbled upon a discovery or capitalized on an accident: the microwave oven, safety glass, smoke detectors, artificial sweeteners, X-ray imaging. Many blockbuster drugs of the 20th century emerged because a lab worker picked up on the “wrong” information. While researching breakthroughs like these, I began to wonder whether we can train ourselves to become more serendipitous. How do we cultivate the art of finding what we’re not seeking?..." Jill Bolte Taylor: My Stroke of Insight. A brain researcher has a stroke that ultimately provides more insight into the workings of the human brain? There's a reason why this TED Talk has over 18 million views. Watch this video - you won't regret it: "Jill Bolte Taylor got a research opportunity few brain scientists would wish for: She had a massive stroke, and watched as her brain functions — motion, speech, self-awareness — shut down one by one. An astonishing story." 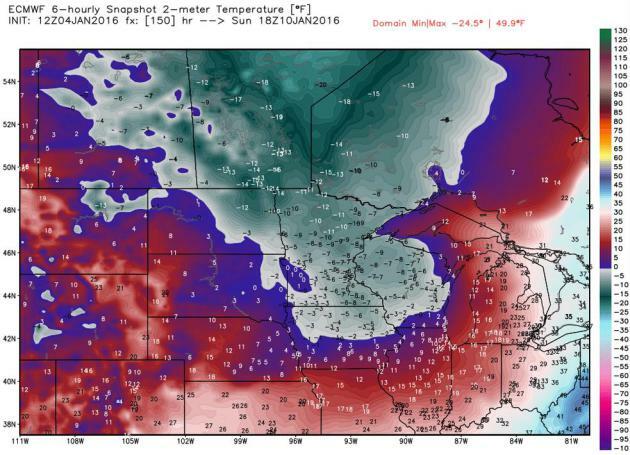 26 F. high temperature at KMSP Monday. 24 F. average high on January 4. 12 F. high on January 4, 2015. January 5, 2012: Record warmth is felt across the state. Many locations in western Minnesota soared over 50 degrees, with temperatures reaching the 60s at Marshall, Canby, and Madison. This was the first record of any 60 degree temperatures in Minnesota during the first week of January. Why the NHL Is Getting Involved in Climate Change Efforts. Yes, that NHL. Here's an excerpt from The Washington Post: "I was reading a random article last month about the goings-ons at the historic climate change conference in Paris when my eyes stumbled across what appeared to be a fish-out-of-water participant – the National Hockey League. The piece mentioned that an NHL vice president for corporate social responsibility, Omar Mitchell, presented on sports and sustainability. The NHL. Climate change. I had to call the league. I found Mitchell. He explained from Foxborough, Mass., the site of the league’s New Year’s Day Winter Classic, after giving U.S. Environmental Protection Agency administrator Gina McCarthy a tour of the league’s game-day set up..."
How Tackling Climate Change Will Pay Off. Here's an excerpt of an Op-Ed from Tina Smith, Minnesota’s Lieutenant Governor, at The Star Tribune: "...What many people don’t realize is that tackling climate change will help Minnesota’s economy grow and contribute to our global competitiveness. 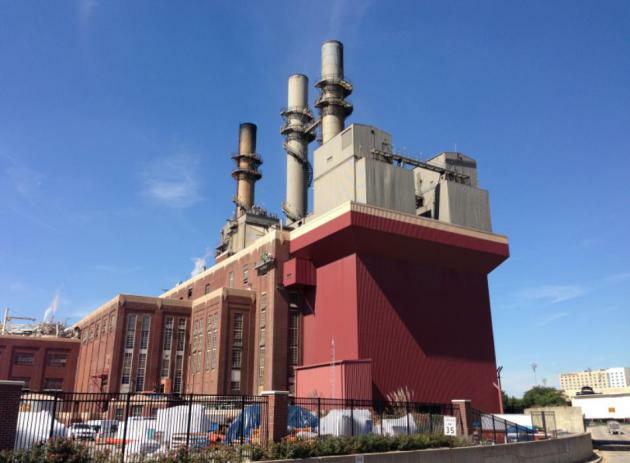 Minnesota has already seen the economic benefits of taking action, after setting aggressive renewable-energy and energy-efficiency standards and bold goals to reduce greenhouse gases. Today, Minnesota is a clean-energy leader, with more than 15,000 clean-energy jobs, which contribute more than $1 billion in wages to our economy. Our coal use has dropped 33 percent since 2005 — something that seemed impossible a decade ago. Renewable-energy sources now account for 20 percent of the state’s annual electricity generation, up from 5.8 percent in 2000. Minnesota wind energy is reducing carbon emissions by more than 5.4 million metric tons each year, the equivalent of taking 1 million cars off the road. Today, wind energy is providing over 16 percent of our state’s electricity — that’s the equivalent of 1 in 6 Minnesota homes, businesses and community institutions..."
95% Consensus of Expert Economists: Cut Carbon Pollution. The Guardian has news of the study and implications; here's an excerpt: "The Institute for Policy Integrity at the New York University (NYU) School of Law recently published a report summarizing a survey of economists with climate expertise. The report was a follow-up and expansion of a similar survey conducted in 2009 by the same institute. The key finding: there’s a strong consensus among climate economics experts that we should put a price on carbon pollution to curb the expensive costs of climate change..."
Climate Change and Consensus. Following up on the growing consensus among the world's leading economists to address carbon pollution here's a clip from a story at TheHill: "..These economists believe that bolder action on climate will be economically beneficial for Americans. When asked which sectors of the U.S. economy will be harmed by climate change, a large majority predicted negative impacts on agriculture, fishing, utilities, forestry, tourism, insurance, and health services. Perhaps due to these risks, more than three-quarters of respondents believe the United States shoudl commit to reducing greenhouse gas emissions regardless of the actions taken by other countries..."
Climate Change is Taking a Toll on Farmers' Mental Health. I've met many farmer across the state, and they are almost to a person increasingly concerned about the erratic weather patterns they're witnessing. Minnesota's climate has always been extreme and unpredictable, but between heavier summer rains and more weather-whiplash (back and forth between flood and drought in relatively short periods of time) there's a feeling of perpetual unease. 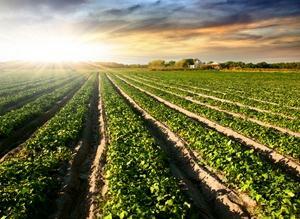 Here's an excerpt from ThinkProgress: "...Uncertainty, Ellis said, seemed to be at the heart of the farmers’ concerns. According to his interviews, some farmers would check weather forecasts on their phones “up to 30 times a day” across numerous websites. Ellis also said that he talked to farmers that would track distant weather events, like storms in Africa, in the hope that those rains could potentially make their way to Australia. According to Ellis, one subject referred to the state of farmers’ mental health as akin to seasonal affective disorder — except that instead of suffering from lack of sunlight, farmers are suffering from a lack of rain..."
Can The Planet Be Saved? 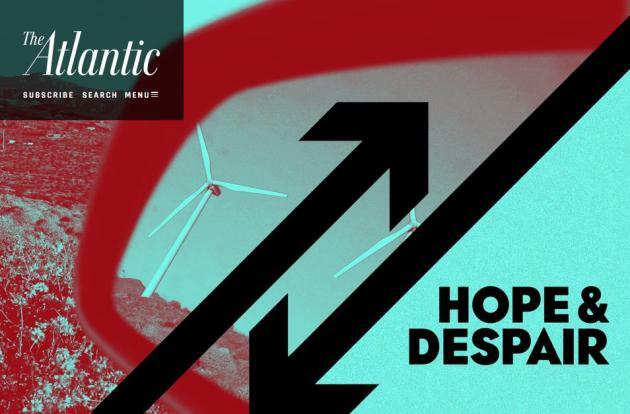 The Atlantic tackles the subject of climate volatility with reasons for both despair and optimism. Here's an excerpt that caught my eye: "...But I find four major reasons to be hopeful. The first is that China is acting decisively to reduce emissions from coal. The second is that renewable energy is now an economically viable alternative to fossil fuels, and will be even more so if we can eliminate the $450 billion a year in subsidies for the dirty fuels. The third is that the fossil-fuel companies are without doubt on the defensive. From the cancellation of the Keystone XL pipeline to government investigations into Exxon’s cover up of its own climate research, the behavior of this industry is finally on view. True, it is still quite powerful in Congress, but the combination of science, economics, and exposure is sounding the industry’s death knell. As we’ve already seen with coal, I predict that oil and gas won’t survive the mounting pressure to “keep it in the ground.” And that brings me to my fourth reason for hope: the growth of a global grassroots movement for climate justice and ecological sanity. It has taken a long time for us to get here, but it’s now unstoppable." Image credit above: Lucy Nicholson / Reuters / Zak Bickel / The Atlantic. 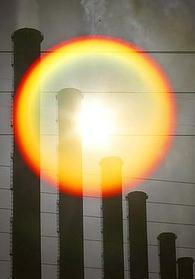 In The Late 1970s, Big Oil Worried It Could Be Held Accountable for Rising Carbon Emissions. Here's the intro to a story at Quartz: "Until relatively recently, oil industry officials were among the biggest detractors of climate science, suggesting that some research seemed frivolous. But in the late 1970s and early 1980s, the industry—worried that oil could be held responsible for rising temperatures in the future—conducted one of the world’s most ambitious early studies of climate change. InsideClimate News, an investigative news organization, released a new report on Dec. 22 detailing the oil industry’s research..."
Photo credit above: "The slow melt." (Reuters/Bob Strong). 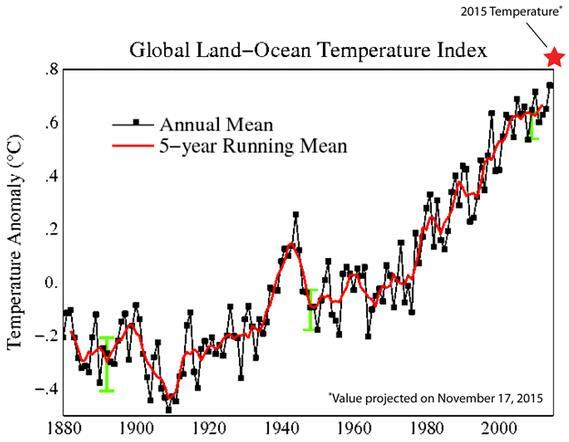 The Year in Climate Change: 2015 May Be The Beginning of the End. Here's a clip from an MSNBC article: "...But this isn’t just about politics. In another milestone, 2015 marked the start of an extraordinary legal, political and even cultural battle over how to address climate change. It’s a fight that could stretch for years, inspiring an escalating level of activism and opposition. More than two dozen states have sued to block the Clean Power Plan, which means that climate change – like universal health insurance – could end up being decided by the Supreme Court. That makes 2015 a scary year as well. In the sunnier reading of events, it’s the start of something wondrous. Every five years, according to the Paris agreement, the nations of the world are supposed to return to the negotiating table, raising their intention to slash greenhouse gas emissions. That could mean the end of the era of oil, gas, and coal, the fuels that produce the majority of planet-heating gases..."
Strange Weather Points to the Potential Impact of Global Warming. The concern is amplifying and intensifying the weather that would have happened anyway - wetter storms, deeper, longer droughts, more intense heat spikes. Here's an excerpt of an Op-Ed from The News and Observer: "Climate scientists stress that isolated weather events and short-term trends do not necessarily have a relation to the Earth’s overall climate. But even cautious scientists and people skeptical about climate change might feel a stab of worry about the weather of 2015. If the planet is getting warmer, as an overwhelming majority of scientists agree, then the year just past gave a stark preview of what may be in store if the nations of the world cannot halt or slow the trend. 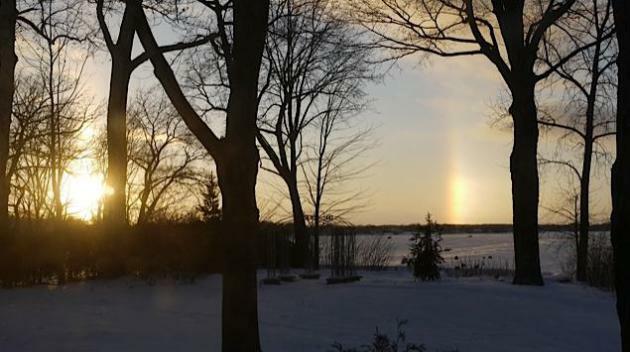 Some of the most vivid evidence of altered weather patterns came at year’s end. Storms with hurricane-force winds lashed and flooded Northern Europe. Tornadoes typical of spring came through the South’s tornado alley in early winter. The Mississippi River, usually low in winter, is so swollen from relentless rain that it is flooding parts of the Mississippi Valley..."
The 7 Most Interesting Climate Findings of the Year. Climate Central has a recap of some of the most noteworthy research and findings of 2015; here's an excerpt: "...But there are a baker’s half dozen studies that really piqued our interest this year, from the Atlantic circulation slowdown to the disappearance of the global warming slowdown. While the seven were all fascinating and critical, some also created controversies that are still ongoing. The finding: We could be entering an era of warming unseen in at least 1,000 years. 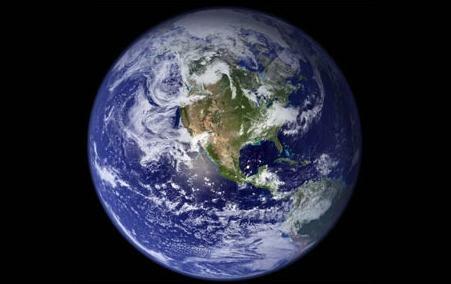 Why it made the list: The rate of global warming has increased with each passing decade. A couple of studies published this year show that the rate will not only continue to rise, but soon be one the earth hasn’t seen since the Vikings found their way to Greenland (and possibly longer than that). Warming will be fastest in the northern hemisphere, which just so happens to be where most humans live..."
2015: A Year of Progress and Buffoonery on Climate Change. Here's a clip from a Washington Post article: "...We may, too, be getting a taste of what a warming world feels like. According to a 2014 paper, one potential effect is a doubling of the number of strong El Niño years. That’s the phenomenon that has perturbed the jet stream and pushed this winter’s temperatures up. Though the El Niño variation predated human influence, it, among many other natural cycles, probably will not be immune to it. And even if this year’s El Niño cannot be blamed squarely on climate change, it nevertheless feels like a fitting end to a remarkable year in the policy and politics of global warming..." (Image: earth.nullschool.net). What's Ahead for Climate Change in 2016? Here's a snippet from a story at Discovery News: "...In 2015, Hawaii became the first state to pass a law making such a commitment. 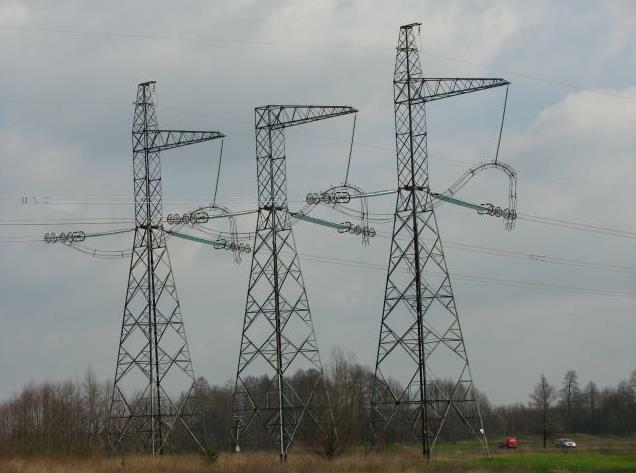 That law requires the state to get all of its electricity from renewables by 2045. In December, San Diego became the largest city in the country to make that commitment, requiring all of the city’s power to come from renewables by 2035. Others have made less ambitious commitments, but no less significant. A law passed in California requires the state to obtain 50 percent of its electricity from renewables, excluding hydropower. 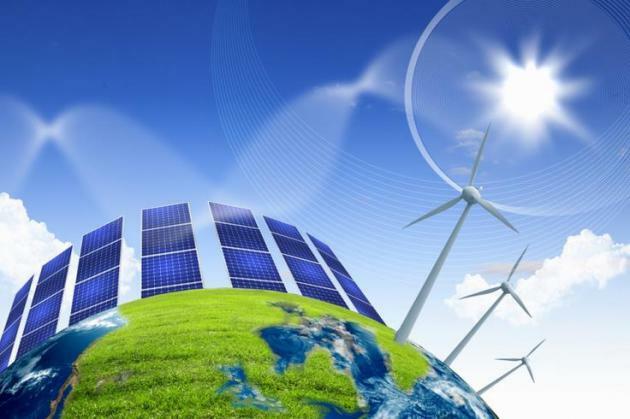 New York City and San Francisco have also pledged to increase their use of renewables, and smaller cities, such as Burlington, Vt., have already gone 100 percent renewable, mainly through the use of large amounts of hydropower..." (File image: NASA). Late Week Thaw/Slush. Next Week: Coldest of the Winter?